chilled | Flickr - Photo Sharing! More of my infrared images are collected here. AntonioArcos aka fotonstudio, and 69 other people added this photo to their favorites. What is this wonderful illumination on the ground? 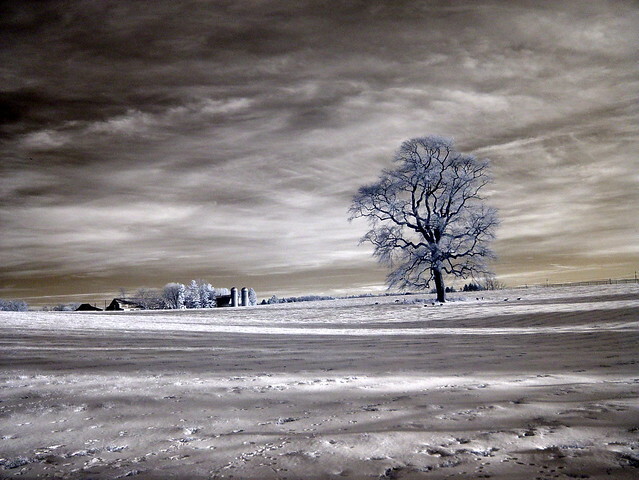 Stunning capture of a lonely, lacy tree in winter! That doesn't even look real. Which normally I would say is a bad thing, but in this case it's the opposite. I love your beautiful tree and all you have done with her! she would sing praises of your work if she could talk. Hi, I'm an admin for a group called The Best. Nothing Else., and we'd love to have your photo added to the group. Hi, I'm an admin for a group called The Garden Of Zen, Only +25 FAVES photo's from THE MOULIN ROUGE, and we'd love to have your photo added to the group. Hi, I'm an admin for a group called The Golden Dreams, Only +50 FAVES photo's from THE MOULIN ROUGE, and we'd love to have your photo added to the group. Hi, I'm an admin for a group called Landscapes-Speechless Beauty [25+ faves, invited&approved only], and we'd love to have your photo added to the group.